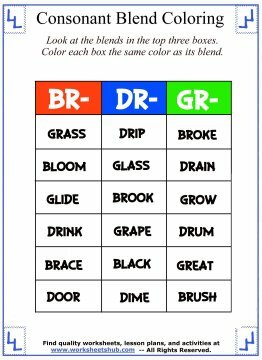 These consonant blend worksheets are a fun way to teach your child or students about different blend groups. 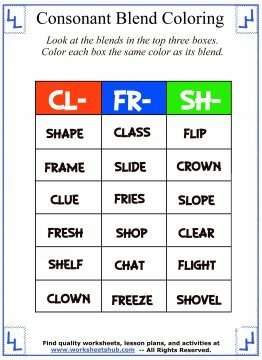 I've covered many of the most common digraphs, but for more focused learning, I also created a blank template that you can use to create your own homework assignments. This photo shows you what a completed worksheet might look like. I'll explain how to use them in more detail below. 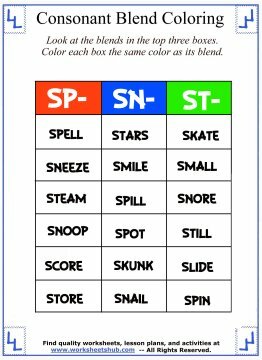 At the top of each worksheet are three different blends. Each blend is in a different colored box. 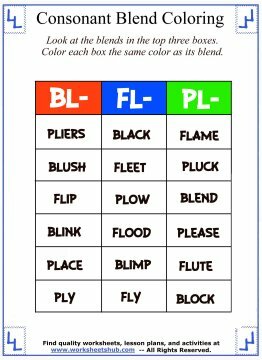 Students should identify the blends by coloring the box with the correct color. 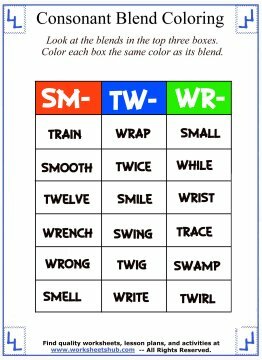 In some worksheets, not every box will be colored in. 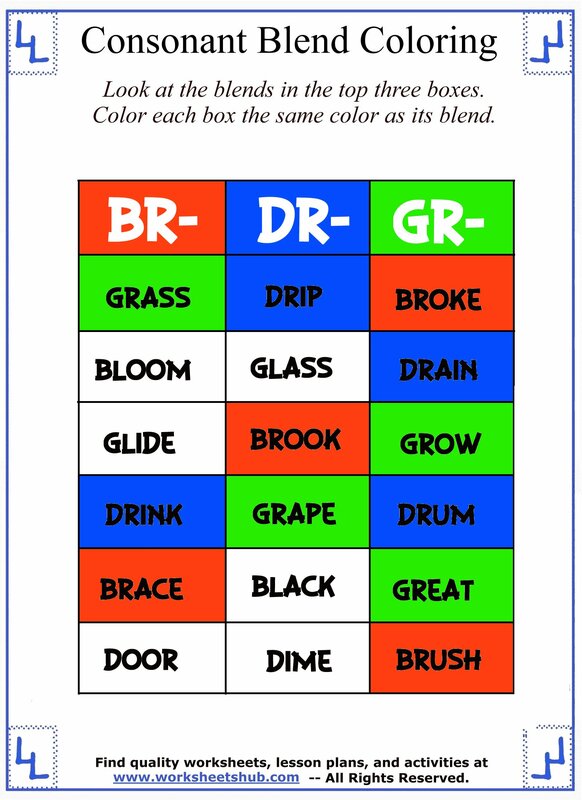 Other blends have been mixed in to make sure that students are actually identifying the blend and not just coloring words that begin with the correct initial letter, for example, coloring all words that begin with 'g' when the blend is 'gr'. To print out your paper, click on the photos below. Your document will open up in another tab, then click the printer icon. 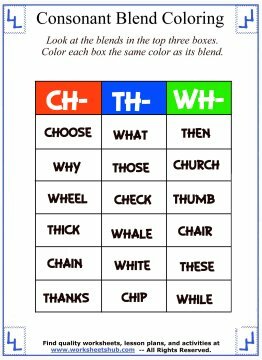 You can find more consonant and vowel worksheets below.